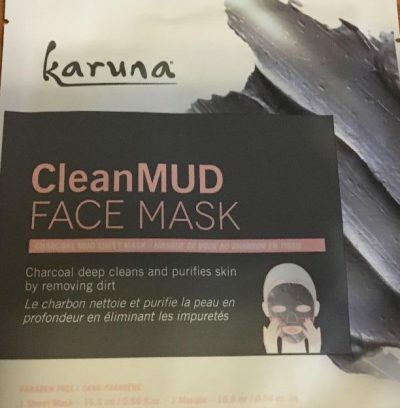 CleanMUD is a charcoal mask that deep cleans and purifies skin by removing dirt. It is meant to restore hydration for oily and all skin types. 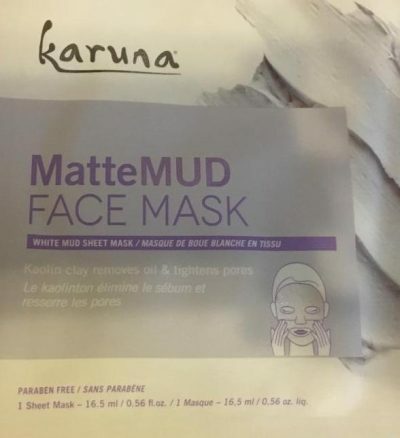 MatteMUD Kaolin clay removes soil and tightens pores for a matte finish. Made for problem, oily, and all skin types. HydraMUD is made with hyaluronic acid and aloe. Intensely hydrating, this mask works best for dry, dehydrated, and all skin types. All of the masks draw out the dirt and oil from deep within your skin and target all your skin concerns. To use your Hydramud mask make sure to remove both plastic backings before applying. Adjust the mask to custom fit your face and then sit back and relax. 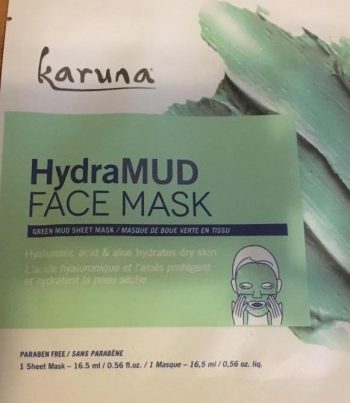 The instructions say to enjoy the treatment for 10 to 20 minutes, but Karuna’s beauty tip is that it is highly recommended to let the mask completely dry and then peel it off. After you’re finished, simply peel, wipe, or rinse away any extra mud. Your face will feel amazing and have a radiant glow! The Karuna Karma Kit is the ultimate beauty break. Find them at https://www.karunaskin.com.